Raz's Midnight Macabre: Ash VS Evil Dead Is Here! 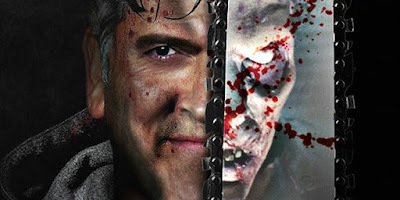 If you're familiar with my work then you'll know how much of a fan of the "Evil Dead" trilogy I am, I'm talking HUGE! When news was FINALLY announced, well I can't even begin to explain my excitement. This only wet my appetite even more and I was waiting and waiting for a full trailer, then when it finally arrived, well I'll leave that to your own imagination. The official plotline is - Ash has spent the last 30 years avoiding responsibility, maturity and the terrors of the Evil Dead until a Deadite plague threatens to destroy all of mankind and Ash becomes mankind's only hope. I know, IT'S AWESOME! 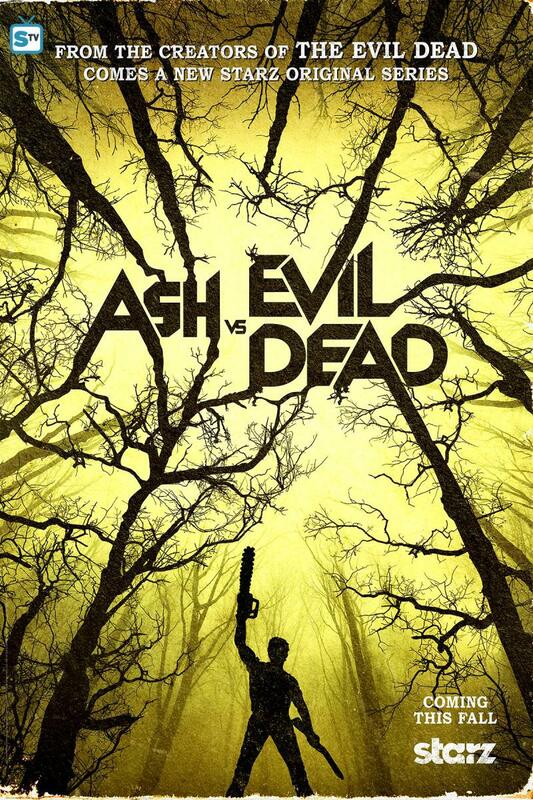 I seriously cannot wait for this to finally be on our screens, the premiere date is appropriately on Saturday, October 31st, I am counting down the days! 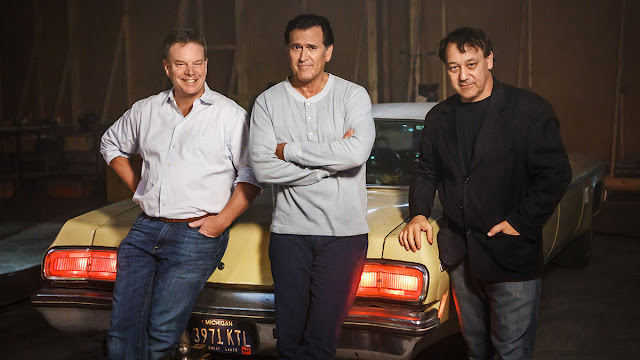 I just want to end this with a great photo of Robert Tapert, Bruce Campbell and Sam Raimi with a very familiar looking car.... "Evil Dead" fans will understand the awesomeness of this picture.